Abia State Governor, Okezie Ikpeazu. Mr Richard Nwala, Permanent Secretary, Ministry of Works, Abia, said on Sunday that the present administration in the state had completed and inaugurated 41 roads since its inception. Nwala told the News Agency of Nigeria (NAN) in Umuahia that the Gov. 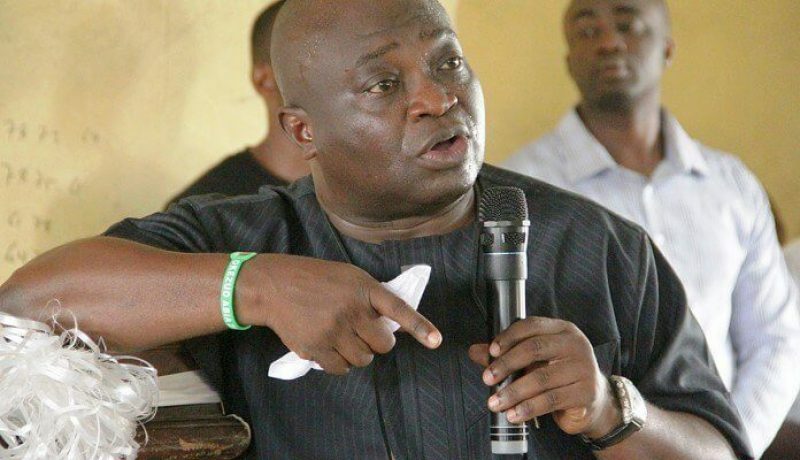 Okezie Ikpeazu’s administration had made long strides in road construction in the state. He said that rehabilitation and reconstruction of 74 other roads, including some bridges, were ongoing in different parts of the state. The permanent secretary said that the roads were evenly distributed across the three senatorial districts of the state and not in accordance with political patronage. He said that the state government placed high premium on road transformation so as to enhance transportation and alleviate the plight of motorists in the state. According to the permanent secretary, the worst roads in the state were those owned by the Federal Government, citing the Aba-Owerri, Aba-Port Harcourt and Aba-Ikot Ekpene roads, as instances. Nwala further said that the dilapidated Umuahia-Ohafia-Arochukwu, road another federal road on which reconstruction had stalled for over a decade, posed a serious danger to the users. He said that the state government intervened in rehabilitating portions of the roads in order to ameliorate the sufferings of those plying them. “Though these are federal roads, the state resolved to fix them because they are used by Abians, most of who could hardly differentiate between state and federal roads,” he said. The permanent secretary said the five kilometre tunnel now under construction in Aba, the commercial hub of the state, would permanently check flooding in the popular Ariaria International Market. He said that the tunnel, measuring four meters wide and five meters deep, would also help to check flooding in other parts of the commercial city. According to him, the tunnel will carry excess water from the Ifeobara pond which causes flooding in the area, into the Aba River. He said, “The problem is that the whole water in Ariaria finds its way into the Ifeobara pond, resulting in an overflow into Ukwu-Mango area. Nwala said that government also expanded the pond in order to enhance its capacity to take more water. The permanent secretary further said that the state government intervened in the rehabilitation of roads at the World Bank Housing Estate, Umuahia. He said that the intervention was necessary because the Niger Delta Development Commission (NDDC) awarded contract for the rehabilitation of only five kilometer length of roads in the estate. He said also that the ministry had a plan to relocate the dumpsite at the Ubakala-Umuahia end of the Enugu-Port Harcourt expressway. NAN reports that the dumpsite has over the years spilled into the road, covering one side of the dual carriageway and compelling motorists to use only one side. Nwala said that a new dumpsite had been acquired and that plans were underway to evacuate the refuse. He said that the ministry would also remove the flower pots which were constructed and placed along the three major roads in Umuahia, the state capital, by the last administration. The permanent secretary said that the ministry would remove the pots before the yuletide. NAN reports that some residents of Umuahia have converted the cement-cast pots into refuse bins.